Nissan might be a Japanese company, but Nissan North America has its headquarters in Nashville, the heart of country music. They know how picky true fans are about the quality of their music playback, and to make them all happy the 2019 Nissan TITAN will be the only truck in its class to feature a Fender Premium Audio System by Panasonic. The partnership with Fender and Panasonic is a first for Nissan, but both names on the system let you know that it’s the best available. 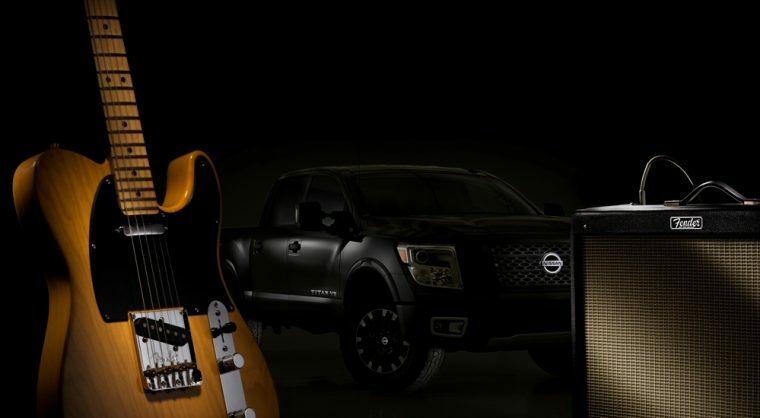 It has 12 speakers (10 for King Cab) and an amplifier power of 485 watts through nine channels, which means that every musical experience in the properly-equipped 2019 Nissan TITAN will feel like a live show. Panasonic’s Acoustic Motion Control System will help reduce vibration for a more detailed sound, instead of just something loud. This isn’t just Fender and Panasonic giving its sound system to Nissan for installation in the 2019 TITAN, either. Engineers from both companies worked together to ensure that the arrangement of the speakers worked with the shape of the cabin so that passengers and drivers alike can enjoy their favorite music on the go. As of right now, no information has been released to indicate which trim levels of the Nissan TITAN and TITAN XD will be equipped with the Fender Premium Audio System by Panasonic. We should know more as the 2019 model year vehicles continue to roll out to dealerships nationwide.